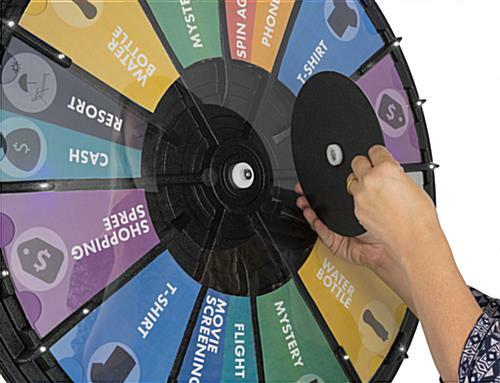 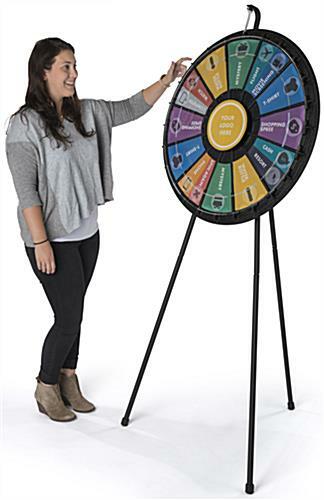 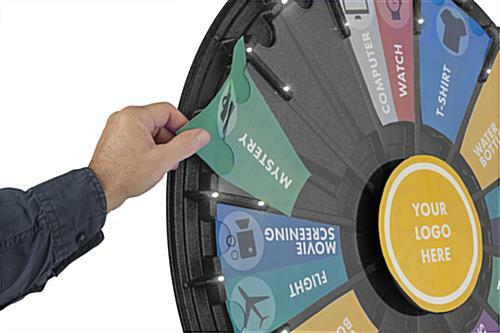 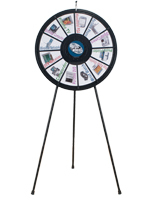 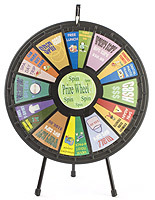 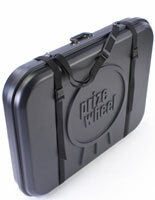 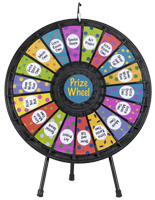 Bring excitement to your next trade show booth with this contest spinning wheel that can hold 12 to 24 prize cards! 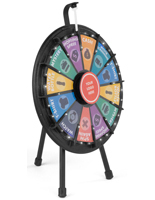 At 31” in diameter, this spinner game can easily attract attention from passersby while remaining easily portable. 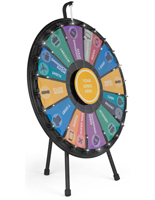 Additionally, each LED spinning wheel has detachable extension legs that can transform the unit from floorstanding to countertop. 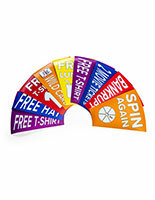 Bright white lights add even more fun to your prize cards and come with 6 AAA batteries that are required for power. 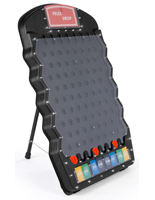 The unit includes 3 removable center plate stickers that can be swapped out for any occasion. 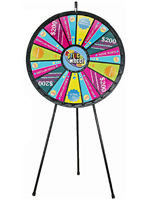 Create a fun experience for customers and passersby at your next trade show, school, or church event with this spinning wheel!